"THE BIGGEST broken promise in political history" is how Philip Klein of the Washington Examiner characterized last week's Republican health care fiasco. In a nutshell, Klein's argument is that Republicans campaigned for seven years on an explicit commitment to overhaul Barack Obama's signature health insurance law — only to reveal, when push came to shove, that they were never really interested in actually making good on their pledge. Did President Thomas Jefferson commit the most consequential breach of a political promise in US history . . . Such a harsh verdict is premature; the GOP hasn't yet given up on scrapping Obamacare. But Klein's essay got me thinking: What is the biggest broken promise in political history? "Political history" is an impossibly broad category, of course, but even narrowing it to "US presidential political history" leaves ample room for debate. In recent years, there was Obama's promise to deliver "an unprecedented level of openness in government." That promise was pretty comprehensively shattered. So was Obama's zero-tolerance "red line" vow about chemical warfare in Syria. Obama's predecessor, George W. Bush, ran for office on a platform of not "using our troops as nation builders," a commitment he thoroughly abandoned after 9/11, with profound and unintended consequences. Bush's father famously swore there would be "no new taxes" on his watch, then agreed to raise taxes after all. On the campaign trail in 1964, LBJ gave his word that he was "not going to send American boys nine or ten thousand miles away from home" to fight in Southeast Asia, though in private he was already drawing up plans for military action against North Vietnam. Just as adamant was Franklin Roosevelt's guarantee in 1940: "Your boys are not going to be sent into any foreign wars." Candidates inevitably say things to get elected that they later regret, or that are later overwhelmed by intervening events. Inaction was not an option for Bush after the atrocities of 9/11. FDR could not have avoided war after Pearl Harbor. To qualify as the "biggest" broken promise in (presidential) history, it seems to me, requires not only that the impact have been enormous, but also that the president genuinely had a realistic option of keeping his word, and purposely chose to disregard it. With those criteria in mind, I propose two nominations for the biggest-broken-promise award. Heading into the election of 1800, Thomas Jefferson was the nation's foremost champion of strict constitutionalism and limited executive power. The 12 years of Federalist Party rule under George Washington and John Adams had been an era of government expansion, mounting national debt, and increased federal supremacy. Jefferson deeply opposed the Federalists' aggrandizement of central authority. He promised instead to shrink federal power, pay down the government's debt, and exercise only the authority explicitly granted by the Constitution. 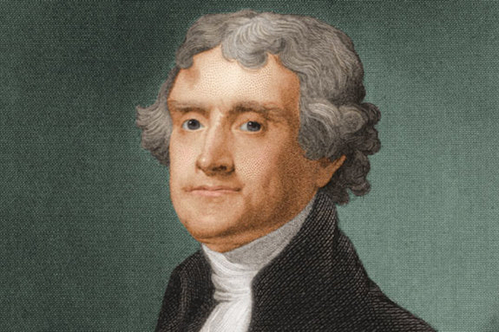 But those "Jeffersonian" values vanished when the third president was presented with the opportunity to purchase 820,000 square miles of territory from France — the vast Louisiana territory that would double the size of the United States. Nothing in the Constitution authorized such an acquisition by the executive branch. But Jefferson thought the deal too good to pass up, and so reneged on the policies of frugality and limited government he had always espoused. The Louisiana Purchase is regarded today as a triumph. But there's no question: The price of that triumph was the shredding of Jefferson's once-inviolable principles.
. . . or does that distinction go to Franklin D. Roosevelt? My other nominee is FDR — not for leading America into war abroad, but for the gigantic expansions of the New Deal at home. As a candidate in 1932, Roosevelt mercilessly condemned Herbert Hoover's handling of the Depression. Over and over he attacked him — not for doing too little, but for doing too much. He decried Hoover's "reckless and extravagant" spending; he blasted the Republican administration for having "piled bureau on bureau, commission on commission." 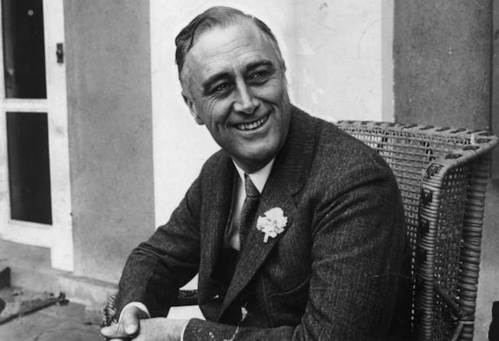 FDR vowed, if elected, to halt the profligacy of the man he called "the greatest spender in history." Roosevelt urged voters to reject the belief "that we ought to center control of everything in Washington as rapidly as possible." He promised instead that in a Roosevelt administration, the federal behemoth would be curtailed. Had FDR kept his word, the Great Depression might have ended far sooner. Instead it persisted for years, as the central government accumulated immense power and expanded its control to every part of the economy. It was arguably the biggest broken promise in our political history, and we live today with its effects.